The story of Frankenstein and the monster he created is one of our most important modern myths. This study surveys the history of the myth in literature before the advent of film. First examining the range of meanings generated by Mary Shelley's Frankenstein in light of images of political "monstrosity" produced by the French Revolution, Baldick goes on to trace the protean transformations of the myth in the fiction of Hoffmann, Hawthorne, Dickens, Melville, Conrad, and Lawrence, as well as in the historical and political writings of Carlyle and Marx and the science fiction of Stevenson and Wells. 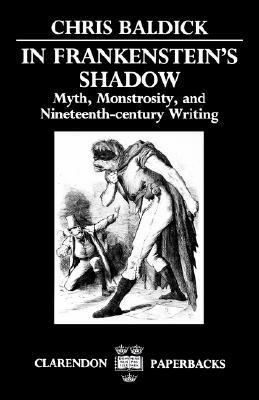 In conclusion, he shows that the myth's most powerful associations have centered on human relationships, the family, work, and politics.Baldick, Chris is the author of 'In Frankenstein's Shadow Myth, Monstrosity, and Nineteenth-Century Writing' with ISBN 9780198122494 and ISBN 0198122497. Loading marketplace prices 61 copies from $61.71 How does the rental process work?